Outfitted with a wheelchair ready for battle, Bruce and Alfred head to the island of Santa Prisca in search of Jack Drake and Dr. Shondra Kinsolving. Upon arrival, they are attacked by local assassins but are saved by Bronze Tiger. After checking into a local hotel that caters to drug dealers, Bruce meets up with Gypsy and Bronze Tiger who spy on the locals to find that Jack Drake is not doing well while the locals shoot a bazooka directly at the hotel to kill Bruce and Alfred! 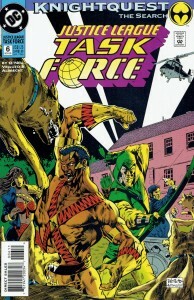 Bronze Tiger and Gypsy are ambushed as they try to uncover Bruce and Alfred from the rubble of the hotel, unbeknownst to them that they are safe by way of a tent in the chair off grounds. 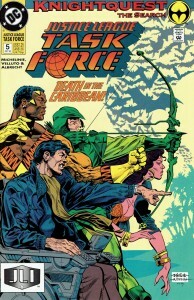 Bronze Tiger and Gypsy meet up with Green Arrow to face Asps, kidnapper of Dr Kinsolving and Jack Drake. Though they are able to rescue Kinsolving, she willingly boards a helicopter with Asp not wanting to leave Drake in his current state. Bruce charters a yacht more determined then ever to rescue to the two. 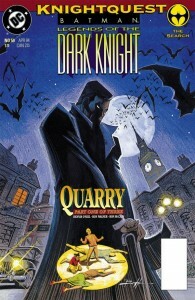 Now in London, Bruce and Alfred seek out local vigilante The Hood to break into MI5 to steal the file on Dr. Kinsolving and Jack Drake’s kidnapper, Benedict Asp. They come to find out that Asp is described as a ‘freelance psychic consultant,’ and his intentions with Dr. Kinsolving are to use her long dormant healing powers to harness and reverse, causing death instead. In London, Asp is to hold a ball which Bruce intends to attend. Attending Asps’ ball as Sir Hemingford Grey, Bruce gets closer to finding Dr. Kinsolvng and Jack Drake. Using her powers, Asp demonstrates the death of a small nearby village. When she steps out, Bruce recognizes her but not him in his disguise. The Hood, along with an agent from MI5 also close in on Asp. Not pleased that Sir Hemingford Grey seems to know Dr. Kinsolving, he orders his men to dispose of him. 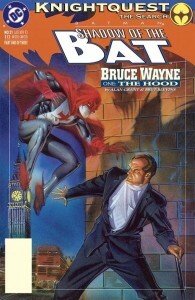 Bruce however holds his own and is saved by the Hood after he crashes in having discovered the death of the nearby village. Hood promises not to tell anyone that Hemingford, Bruce, is actually Batman and Bruce vows to bring down Asp for his crimes. Bruce continues in his pursuit of Dr. Kinsolving and her captor, Benedict Asp when their secret is revealed; they are brother and sister who can harness their power only when in each others presence! Asp threatens to kill four heads of state through his combined familial powers. 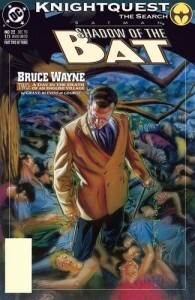 Afraid that Bruce Wayne may become a target, Alfred leaves Bruce and heads back to Gotham to ask Batman if he can look after Bruce, but Jean Paul is reluctant. 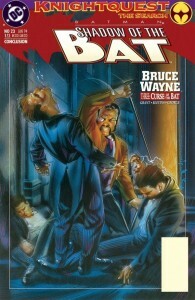 Bruce plans to be captured by Asp in an attempt to get closer to the duo. 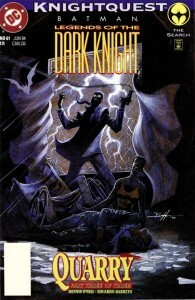 Going according to his plan, Bruce is captured by Asp during a hurricane hitting the island. 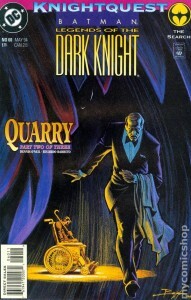 Asp figures out that Bruce Wayne is really Batman and Dr. Kinsolving uses her powers to heal Bruce, but in doing so mentally reverts herself to the state of a child. Asp disappears and is assumed dead.